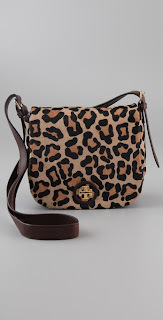 Because they incorporate both black and brown, leopard print bags are the perfect fun yet matches everything accessory! This Tory Burch one also come in gray, with the black & brown spots - three neutrals in one! Buy at ShopBop for 50% off - $225.